Welcome to Shaw Website Design Group's In-House Resource bubble. Here you will find that no matter what your skill level, our In-House bubbles will provide you with a wealth of information to seize your interest and guide your learning experience. At Shaw Website Design Group we hope that what we have gathered allows you to expand your knowledge base. The following Shaw Website Design - In-House Resource bubbles have been gathered from around the web and will be periodically updated. This is at wire-frame stage and open to the public. Time permitting, new information will be added and older material will be updated. In this video you will learn how to use this simple interface to download and upload video and text files along with downloading and installing Adobe Reader. You will then see how to use the reader to fill out a simple form that carries a certificate. This video is the first in a series by Shaw Website Design Group. 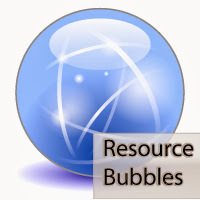 In-House Resources...one bubble at a time.